At Buriton Primary School we offer a wide range of sporting activities for children to participate within the curriculum and as extra-curricular activities, during lunchtimes and after school. We have recently received our goal of achieving a 'Gold' award from the School Games Mark. Finally, the Year 3 & 4 football team took to the pitches for their first official game of football. The Football Festival is run annually by Dunhurst School and is a really fun afternoon of playing different teams and the chance for the boys to try out different positions. The children had a wonderful afternoon and they really enjoyed playing all the teams from local schools. 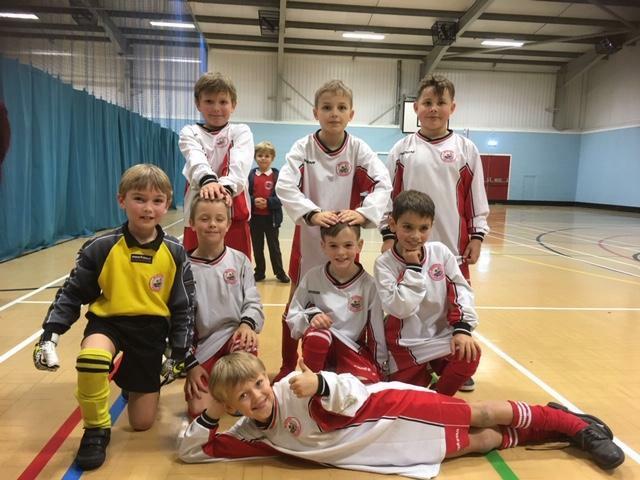 The Year 5 & 6 football team played at a 6-a-side tournament on Thursday, 1st November 2018 at Langrish School. This was the first time they have played together as a team and they produced a very fine performance; winning 2 of the games and just narrowly losing 2. A really fun afternoon was had by all and I am looking forward to watching this team progress throughout the year!